Quirkos can be used as a powerful software tool to help organise and visualise your evaluation projects. Make sense and meaning from your qualitative data without becoming overwhelmed. Set your evaluation criteria as your analysis framework, re-use it across projects and watch the bubbles grow as you add data that matches your criteria. Quickly see all results for each theme, and do powerful cross-sectional analysis by participant groups. Quirkos offers great tools for researchers working as part of a team, and makes sharing reports with funders and management quick and easy. Our interface and reports are graphical, and allow anyone to quickly see trends and connections in complex qualitative feedback and responses. Generate reports as interactive webpages to share with clients, or bring images into Word or Powerpoint for reports and presentations. Bring qualitative and mixed-method data in from spreadsheets, online survey platforms and other monitoring platform, code your data in the most intuitive interface, and use the powerful filter tools to do sub-set analysis. 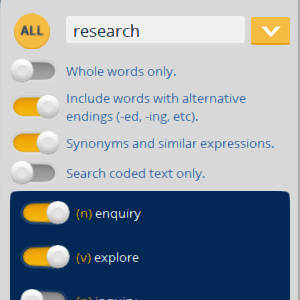 Quirkos is as easy to use as a highlighter pen on paper: simply select the section of text you are interested in and drop it onto a bubble or ‘Quirk’. The Quirk will grow in size corresponding to the number of times it has been used, giving you instant feedback into the emerging themes. The software is quick to learn, allowing you to fully concentrate on your research and not on how to operate complicated software tools. Quirkos lets you unlock time and cost savings in the analysis process as well as from reduced training and licensing costs. Powerful search tools speed up the analysis process: search across all your data for keywords, including synonyms, and code the results directly. Queries allow you to compare themes across sources to reveal compelling and often surprising insights from your texts. Are people from one age group saying something different? Run demographic queries, and see results side by side. 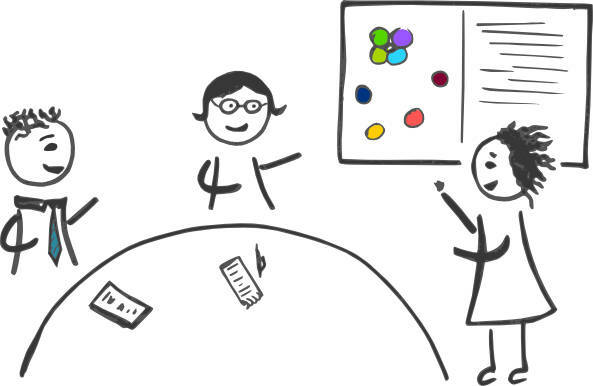 The visual and easy interface enables new options for coproduction, participatory and action research. Participants and service users can be fully part of the interpretation and analysis process, and clearly see how responses are turned into summaries and insights. Quirkos was designed with participatory analysis in mind, and you can teach users to analyse data in 20 minutes, leading to valuable possibilities for triangulation and researcher checking. Quirkos is priced at a fraction of the cost of any other qualitative software package on the market, with one-off licenses that can be used from project-to-project without renewal fees and includes first class support from experienced qualitative researchers. We offer great discounts for groups and teams, as well as special rates for public sector bodies and academic instiutions. Quirkos can help you tell a better audit and evaluation story, and share the results more meaningfully. Try before you buy with a one month free trial of the complete version for Mac, Windows or Linux. Or learn more with a short video overview, or explore our training and support materials, all available online for free without registration.